▪ Backed by an Industry Leading 2-years Warranty! 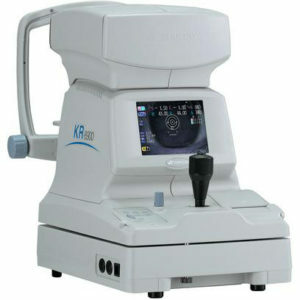 The ERK-7800 instantly reports the patient’s assessed eye power by combining the Auto Refractor/Keratometer functions into this one sharp instrument, making measurement a snap. 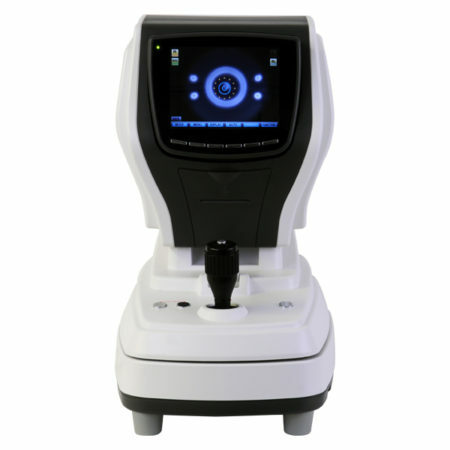 This determines the refractive and keratometric properties of the human eye to assist eye care professionals in the process of prescribing corrective eyeglasses and contact lenses. 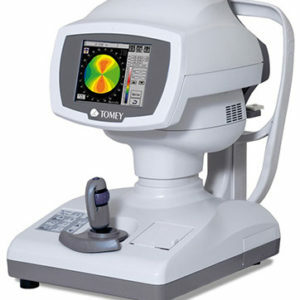 With the Enhanced Retro-illumination Imaging capability in the ERK-7800, you can treat and see abnormal crystalline lenses, cataracts, and scratches of corneas helping you to determine how healthy the patients eyes are with better clarity. 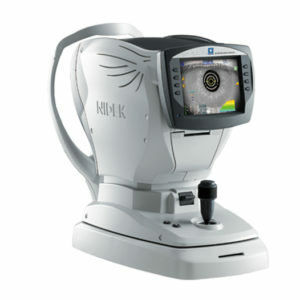 This allows for observation of the eye condition of the cataract or contact lens surface. The system saves up to 2 images of each eye. 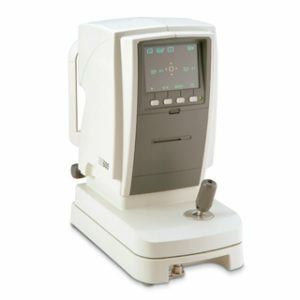 The corneal diameter and base curve of contact lenses can be measured with this one instrument. Therefore, measurements of eye and prescriptions for glasses and contact lenses can be made more efficiently. 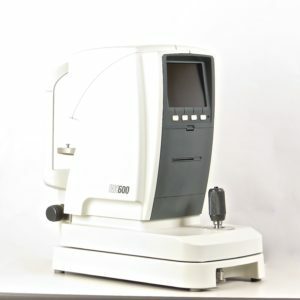 Because the ERK-7800 covers a wide measurement range from -25D to +22D, even an examinee with strong myopia can be measured. Specially designed image chips have succeeded to make REF measuring speed faster reducing the overall examination time and increases throughput for complete examinations. Simply by pressing up/down buttons, user can set the height of measuring point comfortably. With the cutting edge auto sensor mechanism, you can track down, measure and focus the eye with out ever making a mistake. The printer is designed to execute, print, & cut data automatically at high speed for immediate results. With just the touch of a single button, the main body can easily be locked to its base. The LCD Monitor tilts up to 20 degrees; a design made for comfort making. Excellent ergonomics makes it possible to operate the ERK-7800 while standing or sitting, for added convenience. Sharp images with easy to understand icons make this 6.4-inch color TFT LCD interface user-friendly and enjoyable to work with. 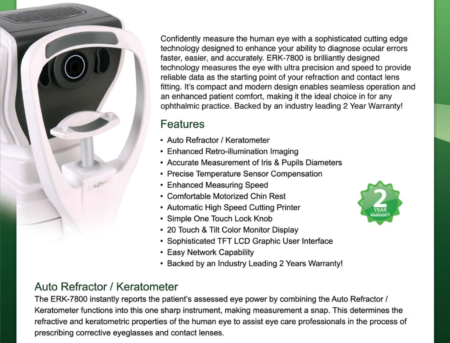 The Ezer ERK 7800 Auto Refractor Keratometer Confidently measures the human eye with a sophisticated cutting edge technology designed to enhance your ability to diagnose ocular errors faster, easier, and more accurately. 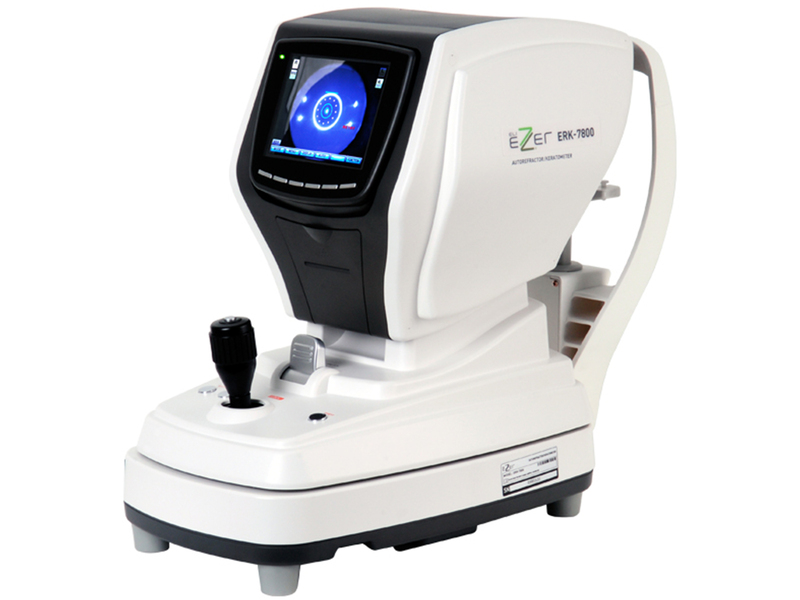 Ezers ERK-7800 Auto Refractor Keratometer is brilliantly designed technology measures the eye with ultra precision and speed to provide reliable data as the starting point of your refraction and contact lens fitting. It’s compact and modern design enables seamless operation and an enhanced patient comfort, making it the ideal choice for any ophthalmic practice. Backed by an industry leading 2-years warranty.